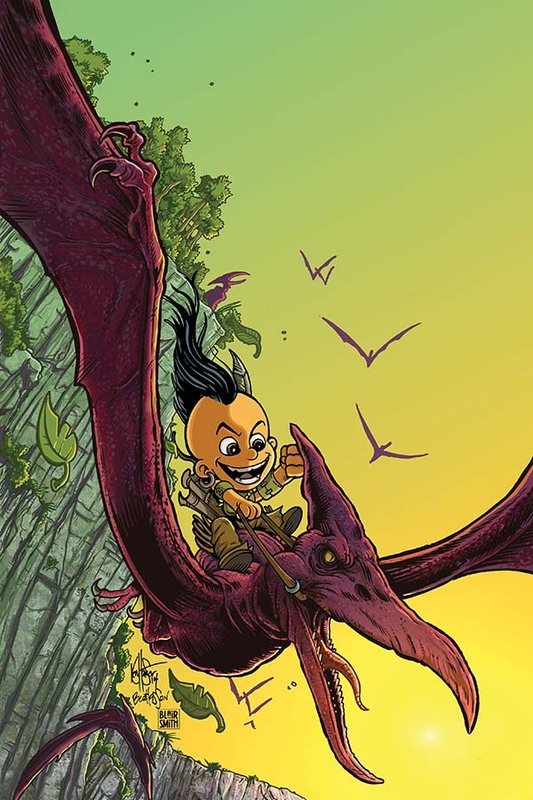 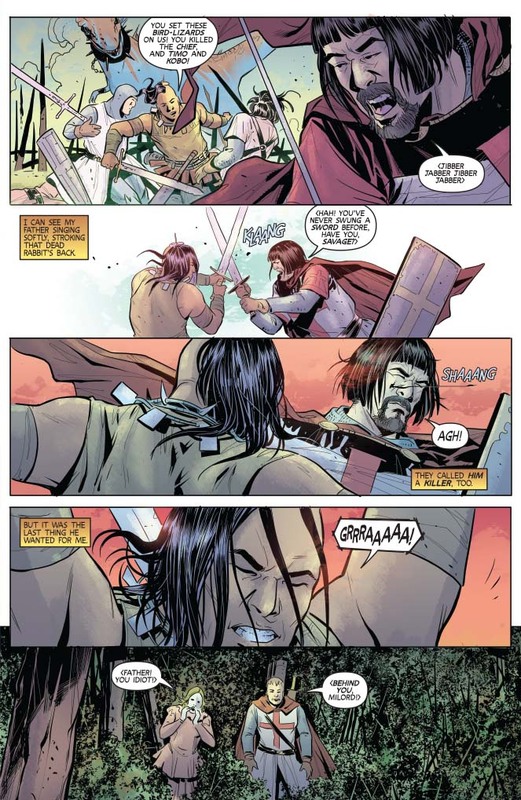 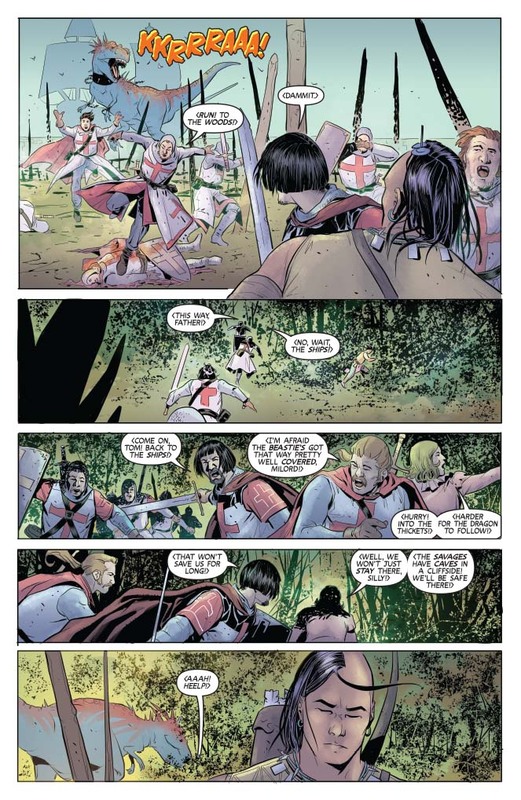 End of the first arc, by GREG PAK (Batman/Superman, Action Comics( and MIRKO COLAK (Conan)! 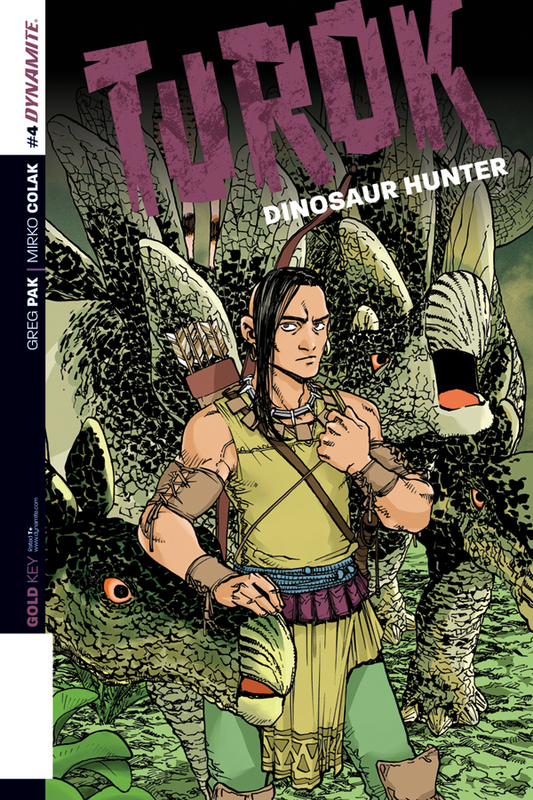 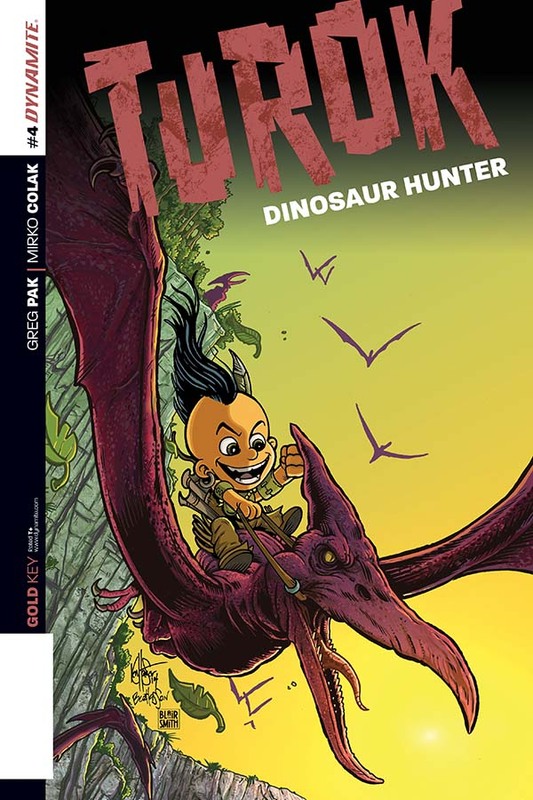 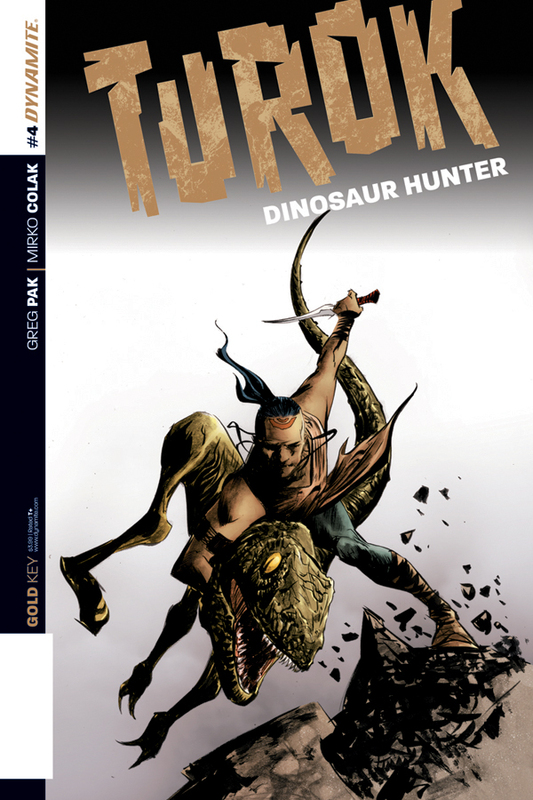 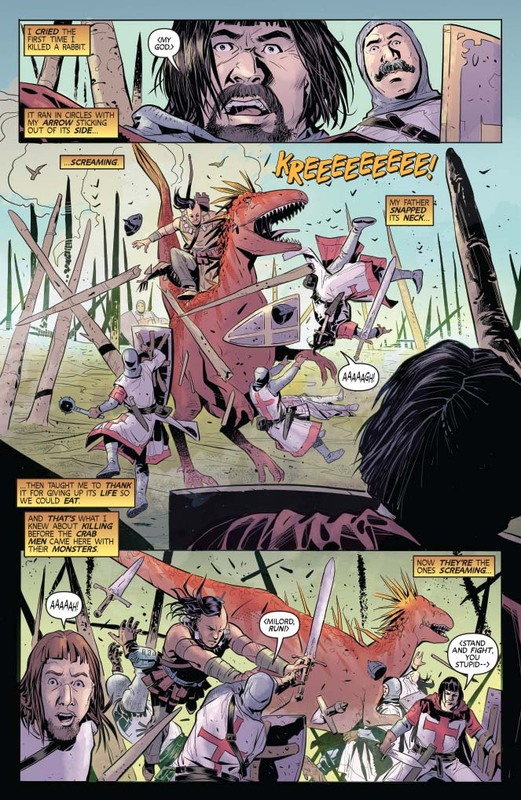 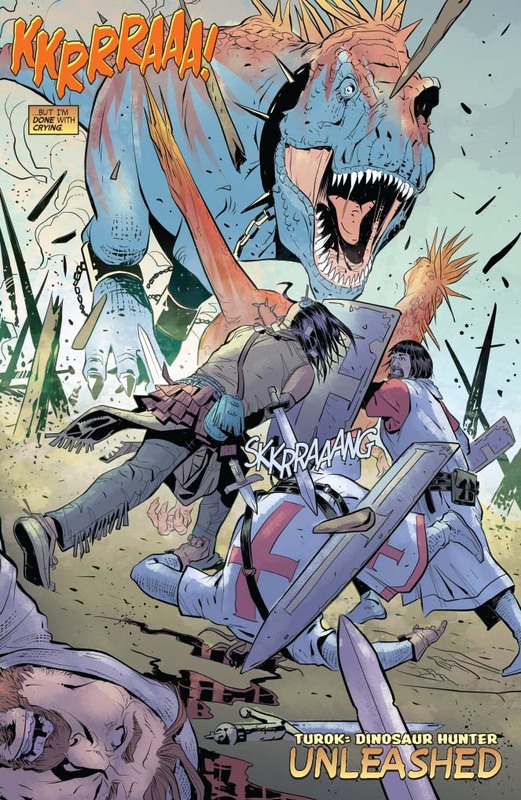 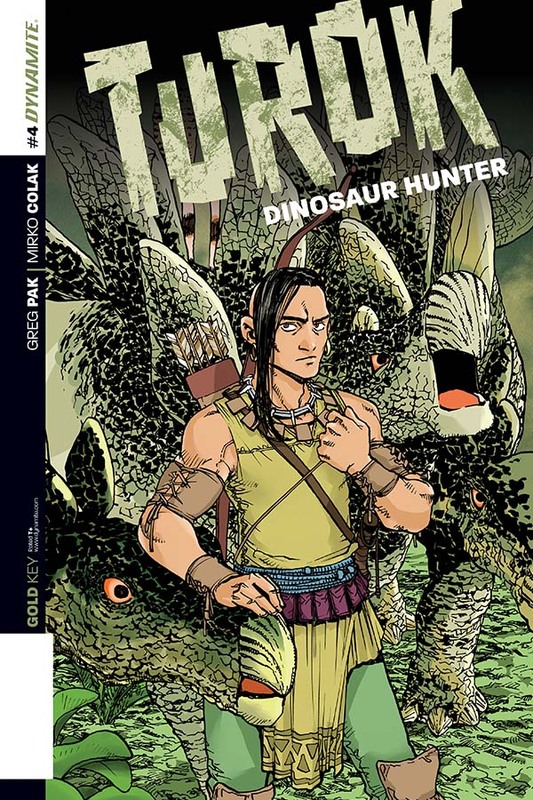 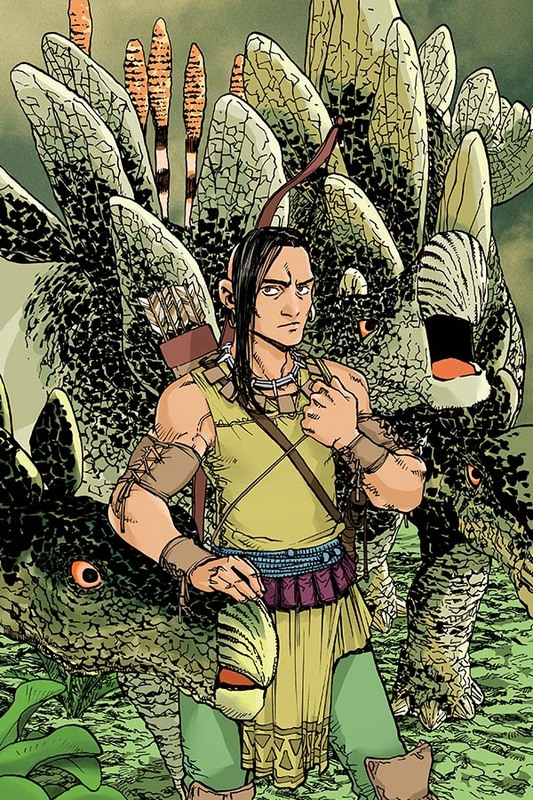 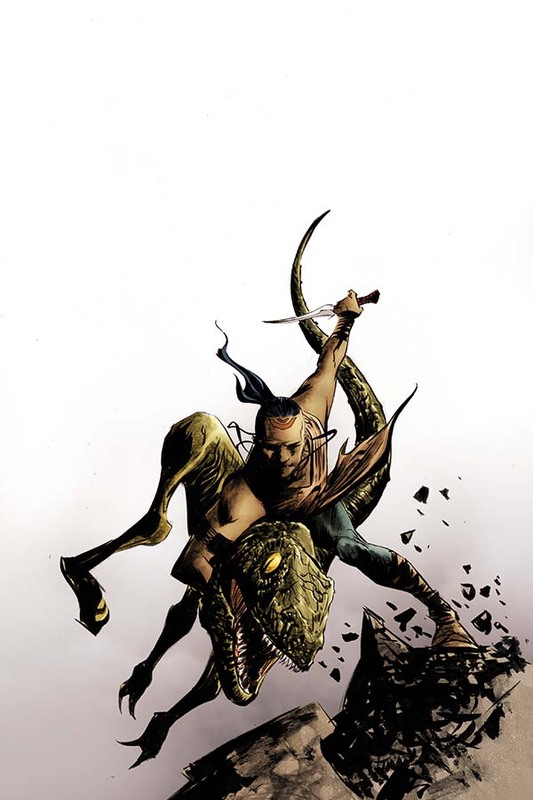 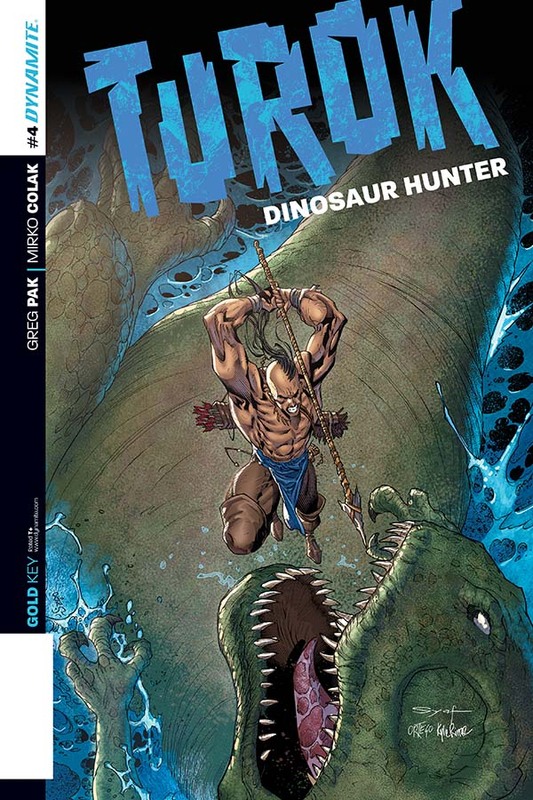 Turok's out of options...He's learned how to tame some of the thunder lizards, but his tribe is in shambles and the invading dinosaurs will soon overwhelm everything he holds dear. 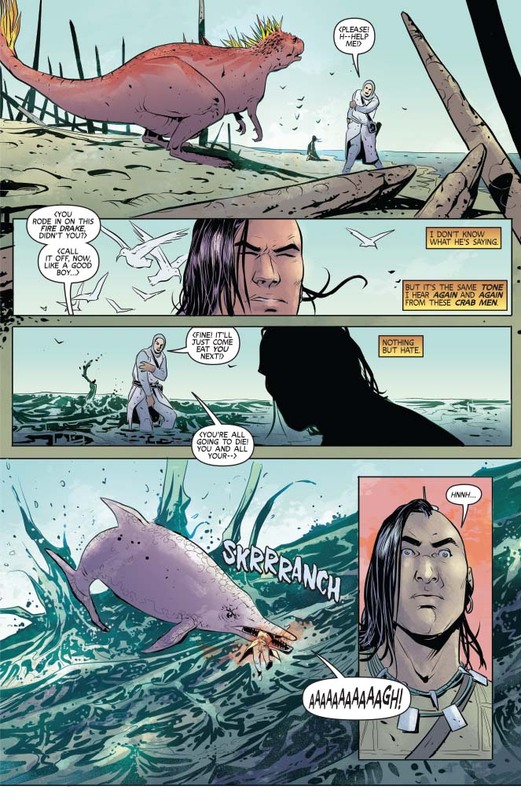 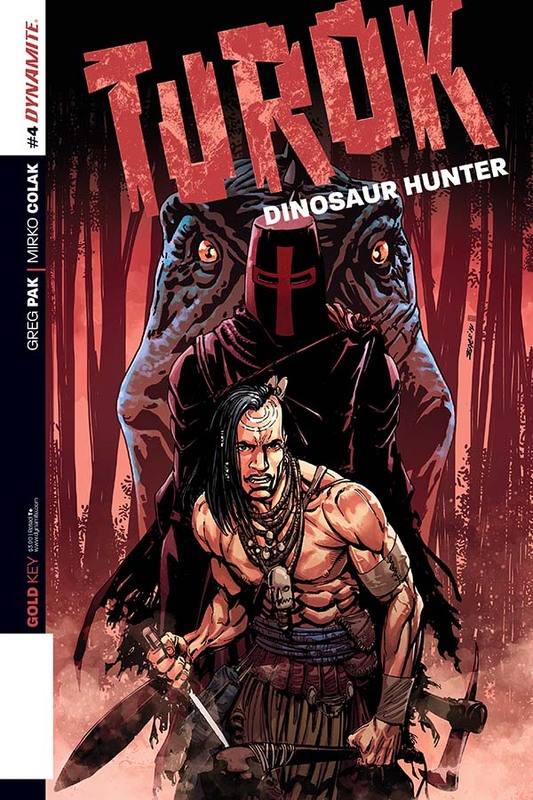 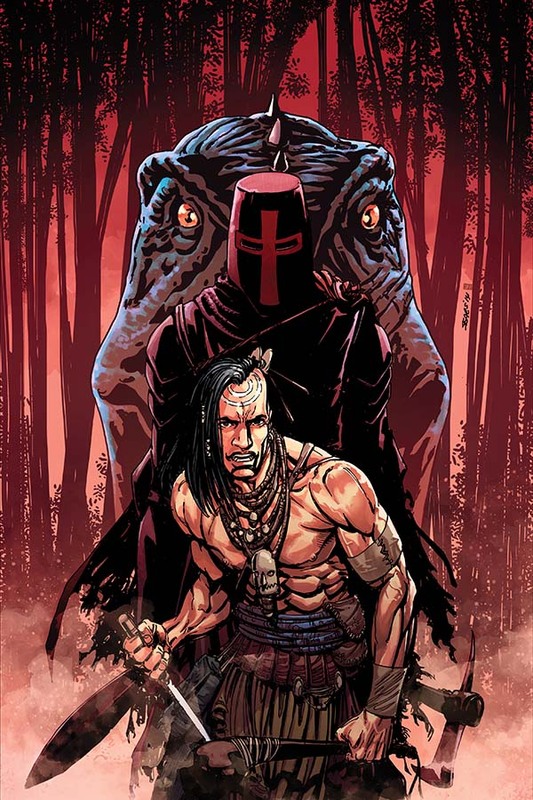 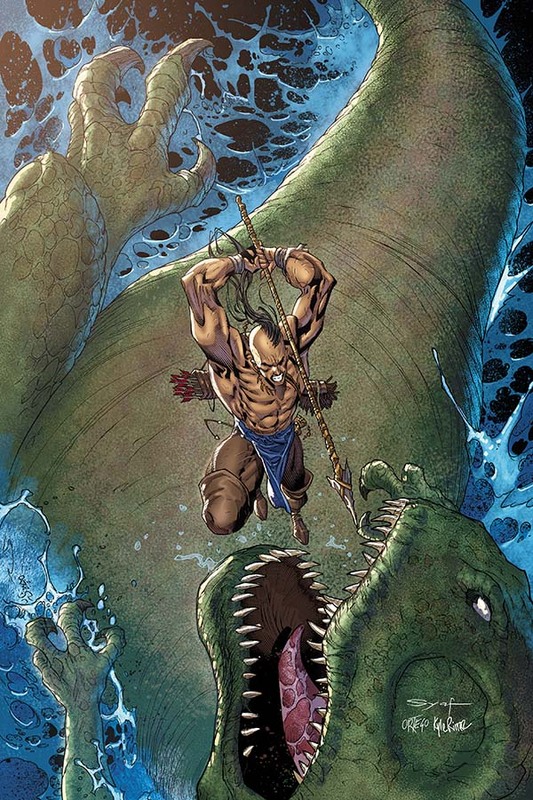 Will Turok break a promise to himself, and delve further into the forest for help?